Bring a magic in your class, winter is a time when dreams come true. 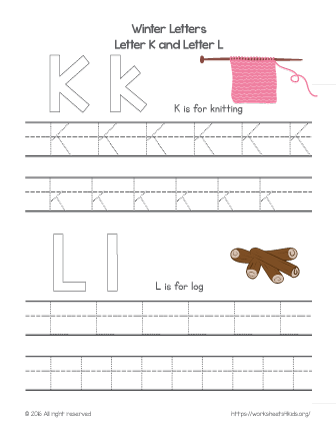 Colorful worksheet to practice tracing and writing letters K and L for your class. Learn new winter related words and have fun to decorate letters.